Pyrene Shells belong to the Dove Shell family, small, mostly spindle like. There are more than 30 species of Dove Shells. Some Dove Shells have teeth on their outer lip. 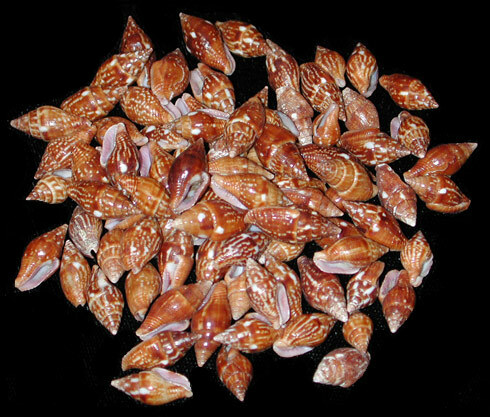 The shells vary in color and pattern. Dove Shells are found in the tropics from the Western Atlantic to the Indo Pacific region. All are carnivous scavengers. Scientific Family: Columbellida.